Sometimes known as ‘piezoelectric’ microphones are different as they capture sound by converting vibrations into an electrical signal via a pressure sensitive material. This makes the ‘pick-up’ microphone less sensitive to extremes of the frequency spectrum and must be placed very close to the sound source to give an accurate sound image. Please call the store for fitting costs if required. 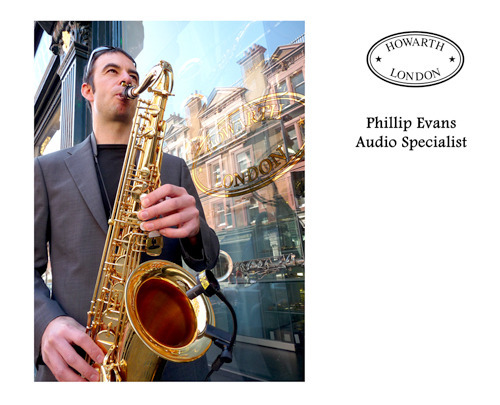 This entry was posted in Electronics and tagged amplification, audio, barrel, buffet crampon, clarinet, electro accoustic, Howarth, Howarth of London, howarths, Howorth, instrument, instrument microphone, K1X, london, microphone, neck, not loud enough, of, olivia wild, phillip evans, pick, pick-up, pickup, rock band, Rumberger, saxophone, sound reinforcement, telex, up. Bookmark the permalink.